EverHive empowers its clients to gain a competitive edge through strategic, efficient, and effective contingent workforce solutions management. No more unresponsive Managed Service Providers (MSPs). No more disjointed systems. 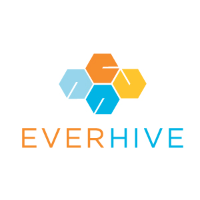 EverHive builds a custom workforce management system that will grow with your company—on your terms. And we work with every industry across the business sphere, from tech and financial services to aerospace and entertainment., technology, financial services, consumer goods, aerospace, and video games.